Hello, FCC! Pastor Tim Porter is away this week at the annual meeting of the Association of Certified Biblical Counselors. In today’s UpDate, we are including an article by Tim Porter, “Serving the St. Croix Valley in Personal and Powerful Ways,” which discusses the connection between Biblical Counseling and discipleship. You’ll also find information in today’s UpDate about Sunday’s worship gatherings and news on upcoming events. One aspect of our vision as a church is to see Christ transforming individuals and families. We believe we will see Christ doing this, as we focus on our mission of making more and better disciples of Jesus. The first initiative of our five-year strategic plan is to create a culture of discipleship at FCC. 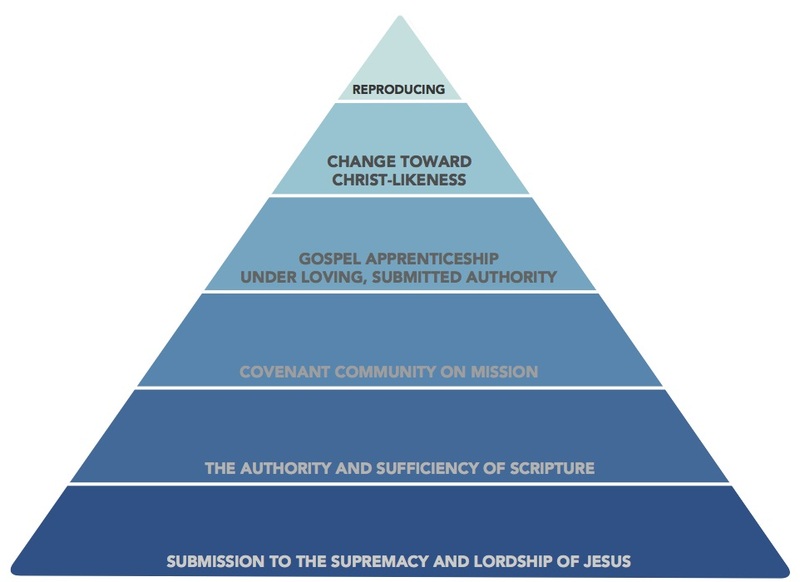 We are praying for gospel renewal and working together to implement into our lives the discipleship principles outlined below and in the graphic pictured here. We believe that as we become convinced of these principles and proficient in discipleship in small batches, we can employ these same principles toward serving our neighbors in the St. Croix Valley in very personal and powerful ways. Our second initiative in the strategic plan is to employ discipleship principles toward serving our neighbors with Biblical Counseling. What does Biblical Counseling have to do with discipleship principles? Great question! Essentially, Biblical Counseling is applying biblical discipleship principles to acute areas of pain, sin, or trials. The connection between Biblical Counseling and discipleship is so great that we often refer to Biblical Counseling as acute discipleship. enslavement to sin. The hope is that our neighbors would experience the power of God to change their hearts, the comfort of the Spirit in their trials, people motivated by the love of Jesus who truly care, and the sufficiency of Scripture to give help and hope. The Scriptures provide help and comfort for our biggest fears, most difficult trials, deepest pains. The Scriptures direct us to God the true source of hope, security, trust, and forgiveness. Out of love for our neighbors, being deeply interested in their well-being, we desire to serve the St. Croix Valley well. One of our elders, Pat Stream, who is certified with the Association of Certified Biblical Counselors, is dedicated to training up biblical counselors. The first step is to serve our body well. But the missional vision is also to reach out to the St. Croix Valley to offer biblical counseling and the resources of the gospel to our neighbors. For sustainability of this initiative in the coming years, we would like to be in a position to hire a Pastor for Biblical Counseling. This pastor would oversee our biblical counselors, our training process, and help us mature to the place where we engage our neighbors well with the power of the gospel. Eventually, where we are praying this would lead is toward a Biblical Counseling Center, where we are officially offering Biblical Counseling to our neighbors. Maybe our property to the south becomes a Counseling and Training Center? Who knows? These are things we are researching, praying and dreaming about. We know of other churches who have fruitfully worked out discipleship principles into Biblical Counseling, and from this began to serve their neighbors in their trials. These churches are seeing Christ transform individuals and families. We are learning from them, praying God would use us fruitfully in similar ways. 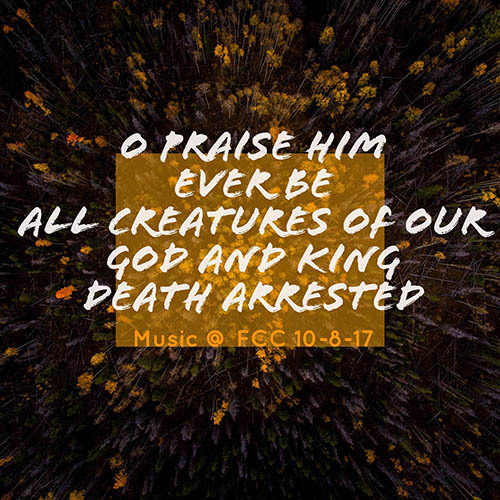 Would you continue to pray for gospel renewal with FCC? Would you consider signing up for Biblical Counseling Training? Would you increase in your love for your neighbors, and become deeply interested in helping your neighbors? This article was first published in the Fall Edition of “FAITH Hudson” magazine, a publication of Faith Community Church. You can pick up a copy at FCC! Pastor Tim Porter will be preaching on “Gospel Power When Relationships Are Hard” (Romans 15:1-9a). We always have guests with us, but this Sunday in particular, we will have many visitors with us on Sunday morning because of Child Dedications. Please look around you and look for others you don’t know and welcome them so they feel noticed and loved. One way FCC comes alongside parents in the discipleship of their children is to present second graders with Bibles. The second graders receive a copy of the “Following Jesus” Bible (ESV/Crossway), which includes many study resources. Bibles will be presented to 2nd graders during both services on Sunday, October 15, 2017. If you have a 2nd grader, please register your child by Sunday, October 8, 2017, to ensure that your child receives an inscribed Bible. REFORMAPALOOZA FCC PICNIC – SUNDAY, OCT. 29 – 12:15 to 3:00 p.m.
October 29 marks the 500th anniversary of Reformation Sunday. On Oct 31, 1517, Martin Luther began a reformation of the church by nailing 95 theses to the Wittenberg Door. This event sparked a recovery of the gospel of grace alone, through faith alone, in Christ alone. As we bring our Romans series (a sermon series on Living and Breathing the Gospel) to conclusion on Oct 29, it seemed fitting to take an opportunity to gather together and have some fun together, while also reminding ourselves of the gospel of God’s grace. On Sunday, Oct. 29, Faith Community is hosting Reformapalooza, a family Reformation celebration, following the 11 a.m. service. Come enjoy this fun, festive, fall picnic! Just plan to attend—no need to register and no charge for event!